We live in a dangerous world, and the best defense is a clear head and proper knowledge. Basically, what this means is that no one can be declared a criminal and imprisoned without his or her innocence or guilt being first proven through an official investigation and heard in a court of law. So, you can be taken in if you’re caught in the act (!!!) or if there’s a warrant of arrest with your name on it, but this doesn’t mean you’re already a convicted criminal! In the Philippines, any person accused of a crime is presumed innocent until proven guilty beyond reasonable doubt. The number of a relative, friend, or lawyer that you can contact in case of an emergency. Miranda Rights – Section 12, Article III of the 1987 Philippine Constitution that states a person’s right to remain silent; to legal counsel; and to not be tortured, threatened, or intimidated; or secretly detained without communication or in solitary confinement. Remember that police arrests, raids, seizures, or searches must be conducted with marked police vehicles, and with properly uniformed personnel. Know why the police are there. It could be because a party is becoming rowdy, there are reports of use of illegal substances, etc. Keep calm and don’t fight back—you do not want to seem like a threat to the officers. Warning shots and excessive violence should not be used by the police if anyone is being taken into custody unless the detainee/suspect poses a physical threat (but be vigilant and keep an ear out for the sound of gunshots). 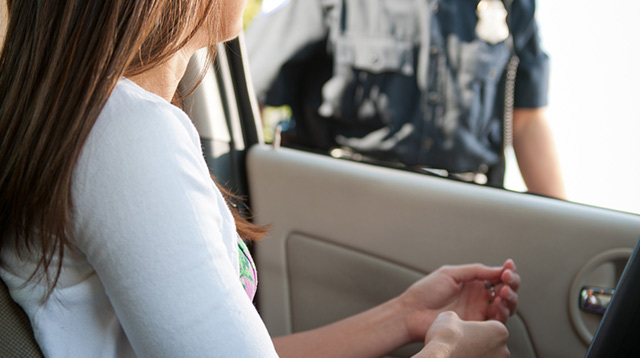 Make sure the checkpoint is well-lit and authorities are in official police uniforms. Turn on your cabin lights. Make sure everyone in the vehicle is awake. Ensure your doors are locked. Prepare your driver's license and car registration. Allow a visual search. Remember: They can't ask you to get out without reasonable cause. Answer questions honestly, firmly, and politely. Report any discrepancies or violations. Know why you are being detained. Remember and exercise your Miranda Rights. Request legal counsel, whether your personal lawyer or from the Public Attorney's Office. Inform family and friends of your whereabouts. Volunteer information, bodily fluids, personal items, or agree to take tests without a lawyer. Waive your right to legal counsel. According to Section 2 of the Bill of Rights, personal property such as your home, your car, any personal correspondence, personal bank accounts or safety deposit boxes, or even your person (i.e. your body) cannot be searched or taken without a valid reason or a search warrant, which should be issued by a judge. So, if any person, even the police, insists on searching your house or car without a warrant? Don’t let them. This article originally appeared in Cosmopolitan magazine’s November 2016 issue. Minor edits have been implemented by the Cosmo.ph editors.